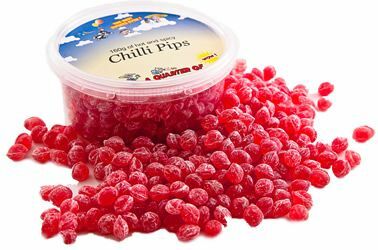 Our Pips are mini taste sensations. They're like teeny weeny boiled sweets. Apparently they are quite hard to make, which is why you don't see them around very often. But our sherbet pips have been one of our best-selling boiled sweets since the very early days of our online sweetshop. And we added our spicy chilli pips because we thought they'd be popular... and we have been proven right. If you like a bit of spice, give them a try... you won't regret it!